Chhattisgarh Board of Secondary Education (CGBSE) is all set to declare the CGBSE 10th Result 2014 today on 31 May 2014. Students who appeared in the CGBSE 10th Exams 2014 held in the month of March-April past this year should get ready with their roll numbers in hand as the results might be declared at any minute today on http://chhattisgarh10.jagranjosh.com. To check the CGBSE 10th Result 2014, students may visit the online portal of the board or they can visit Jagran Josh for the results. Click at this link: https://www.jagranjosh.com/results/2014-cgbse-10th-32405 and get to your results easily. This is created by the efficient team of Jagranjosh.com to access the results in a faster way. The Chhattisgarh Board of School Education conducted its class 10 and class 12 examinations 2014 in the month of March-April 2014. The class 10 exams held from 02 March to 23 March 2014. 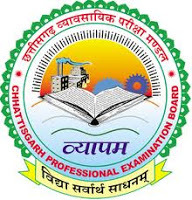 The CGBSE 12th Result 2014 has already been declared by the Chhattisgarh board on 9 May 2014. The Chhattisgarh Board of School Education was established on 01 November 2000 and its headquarters is located at Raipur. The board aims at different types of exams like the higher secondary school (occupational), higher secondary school, physical training diploma high school and D. Ed certificate. The team at jagranjosh.com extends their best wishes to all the students who appeared in the Chhattisgarh Board 10th exams 2014.